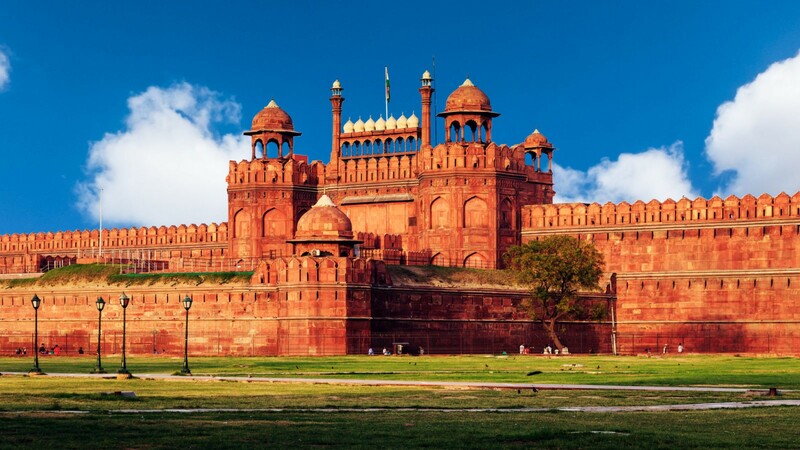 Arrive Delhi by an International flight. Welcome, meeting and assistance on arrival at Delhi Airport and transfer to the hotel. On arrival, check in at the hotel. 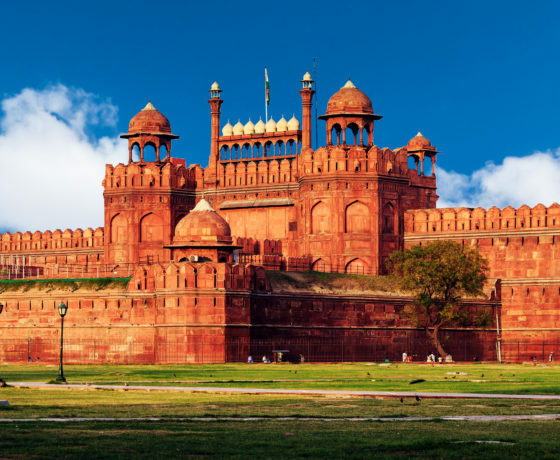 Morning visit the Old City of Delhi to see the historic Red Fort and the Jama Masjid, India’s largest mosque from the outside. See the colourful bazaar of Chandni Chowk and take a cycle rickshaw ride through the back streets of Old Delhi to get a first hand experience of the hustle and bustle of this traditional city. This ride through the small by-lanes will be most fascinating. Return to the hotel en-route visiting Tour of New Delhi visiting the Qutab Minar, a tower of victory built in the 12th century and India Gate the war memorial. Drive past the Rashtrapathi Bhawan, the residence of the President of India, the houses of Parliament and the Government Secretariat buildings. Morning transfer to the airport to board the flight for Bagdogra. Leave Delhi for Bagdogra by 9W: 601 (1010/ 1205 hrs). Early morning visit Tiger Hill (2673 M). 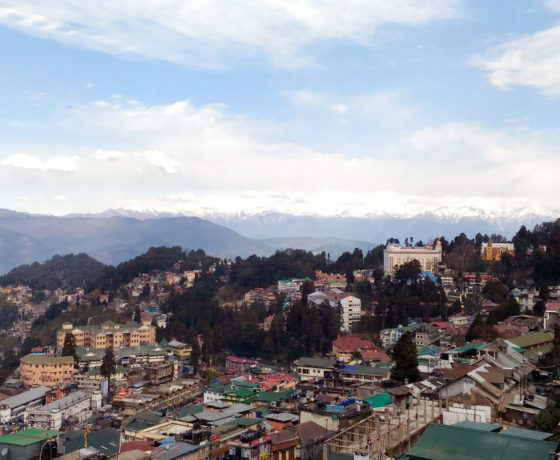 On a clear morning, one can have a panoramic view of the entire Himalayan range and see the fascinating spectacle of sunrise over the Himalayas. On a clear day it is possible to see Khachenjunga (8585 M) and Mt Everest (8878 M) On your return visit the Ghoom Monastery, 8 kms from Darjeeling. 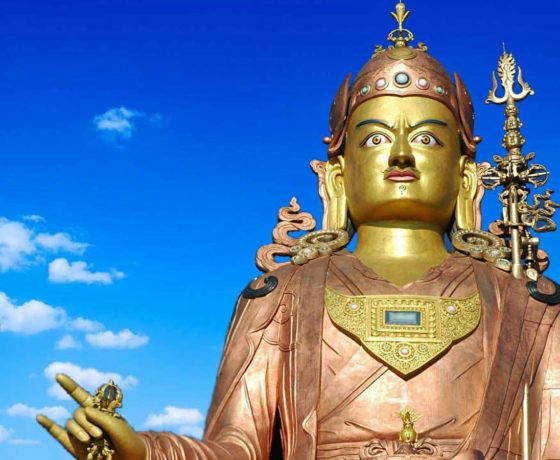 Built in 1875 in the Tibetan style, it enshrines a 5 M statue of the Maitreya Buddha (The Coming Buddha). Return to Darjeeling and the hotel. 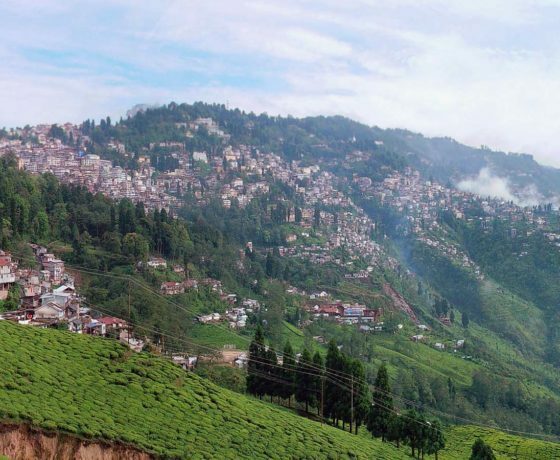 Afternoon, city tour of Darjeeling visiting the Lloyd Botanical Gardens; the Padmaja Naidu Himalayan Zoological park which has high altitude animals, the Himalayan Mountaineering Institute (closed every Thursday). Mountaineers are trained in this Institute. Tea Estates are all around. Also visit the Tibetan self-help Centre. Overnight in Darjeeling. The train journey is very fascinating (and will be extremely cold in the open train) as its winds its way through the mountain side offering spectacular views. The train, built by the English over a 100 years ago, negotiate the mountains using special traction . The most exciting part of this trip is while traversing the Batasia Loop when the front engine almost touches the tail ! Returns to Ghoom to Darjeeling by coach. Afternoon visit the mountain town of Pemayangtze and the monastery there. 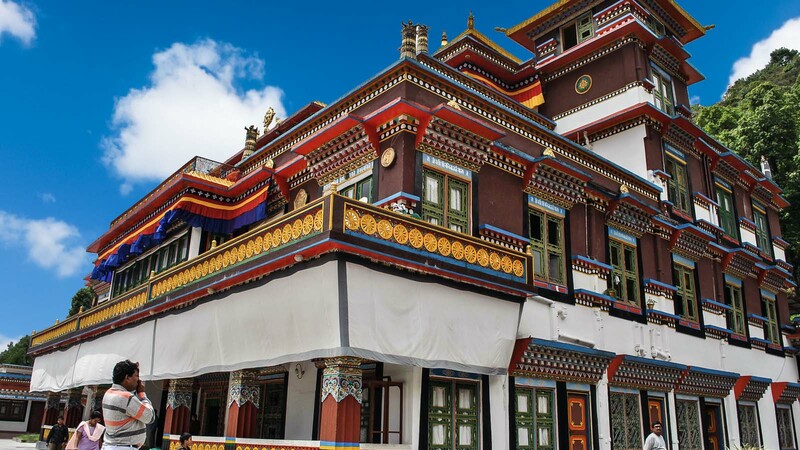 Afternoon, the Enchey Monastery built by the 8th Namgyal of Sikkim in 1840, belongs to the Nyingmapa Sect of Mahayana Buddhism. The monastery has been renovated in recent times. 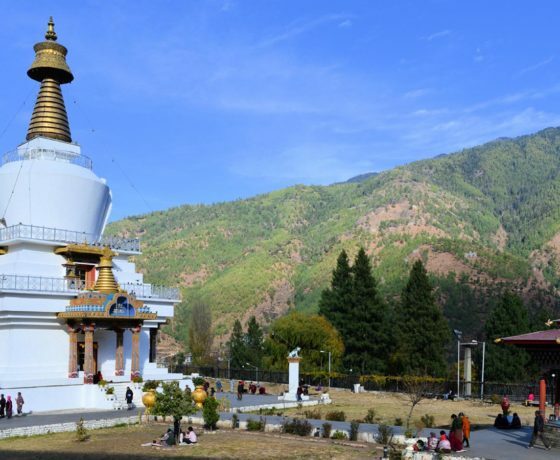 The Do Drul Chorten, considered to be one of the most important chortens of Sikkim, was built in 1945 and has 108 Mani Lhyakor (Prayer Wheels) around it besides two huge statues of Guru Padma Sambhava. 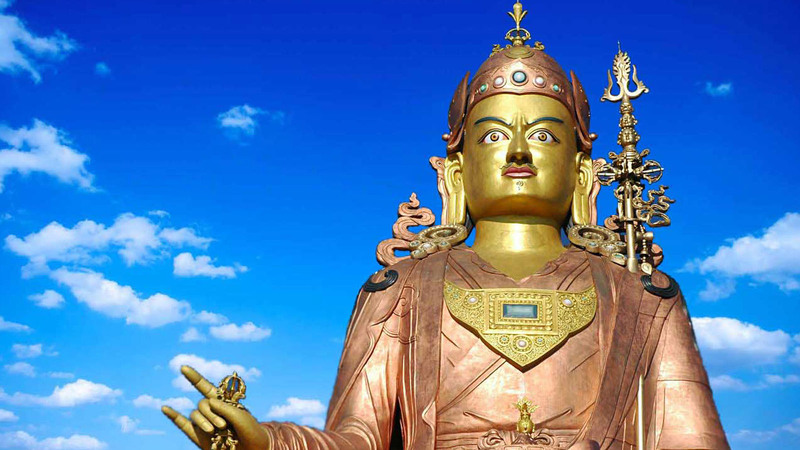 The Deer Park has an image of the Buddha in preaching posture like the one at Sarnath near Benaras. Visit to this Monastery is through application for permission. The Research Institute of Tibetology which has a large collection of icons, tankhas (tapestries) and rare books. 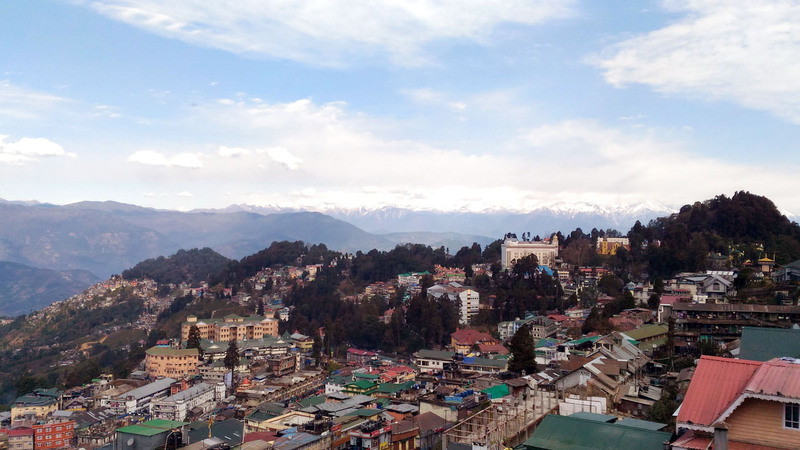 Overnight in Gangtok. 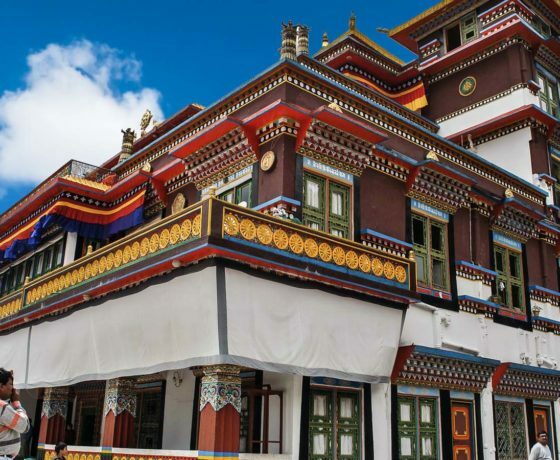 Morning, excursion tour to the Rumtek Monastery 24 kms from Gangtok is noted for its carved and painted woodwork, magnificent murals, icons and rare manuscripts. A special hall holds the remains of the late Karmapa Gyalwa Karmapa. Participation in the prayers in the monastery if in progress is possible. Afternoon, free for independent activities. Overnight in Gangtok. 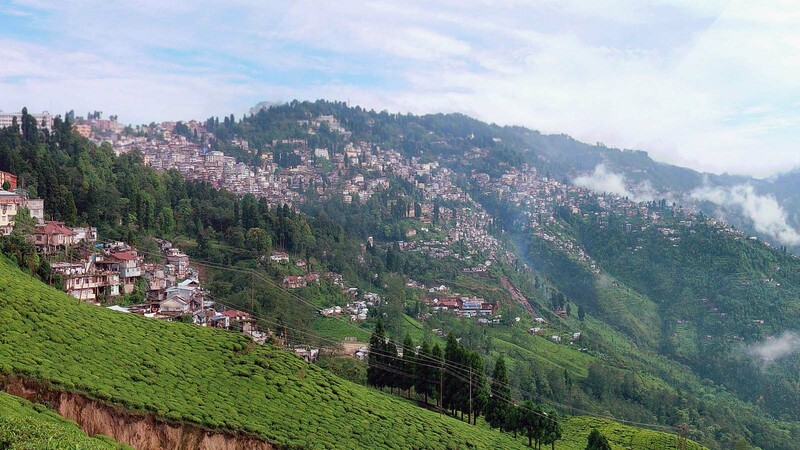 Leave Gangtok for Kalimpong (108 kms). On arrival, check in to the hotel. Leave Kalimpong for Jaigaon ( 175 kms/ 6 hrs) – the last Indian town on the border with Bhutan, through carpets of tea estates. 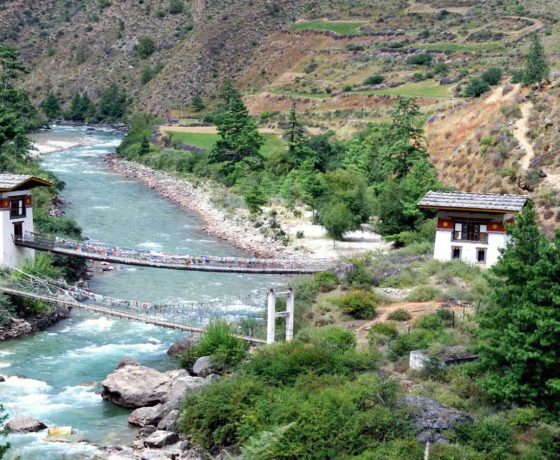 Cross over the border on foot, complete the necessary passport formalities and then walk into the Druk hotel in Phuntsoling. Phuntsoling is the Gateway to Bhutan from India and is the commercial and industrial centre of Bhutan. This Mountain Kingdom is well known for its stamps and Phuntsoling is the Philatelic Centre of Bhutan. Visit the famous Karbandi Monastery area. Afternoon : Visit this interesting little town. Overnight in Phuntsoling. 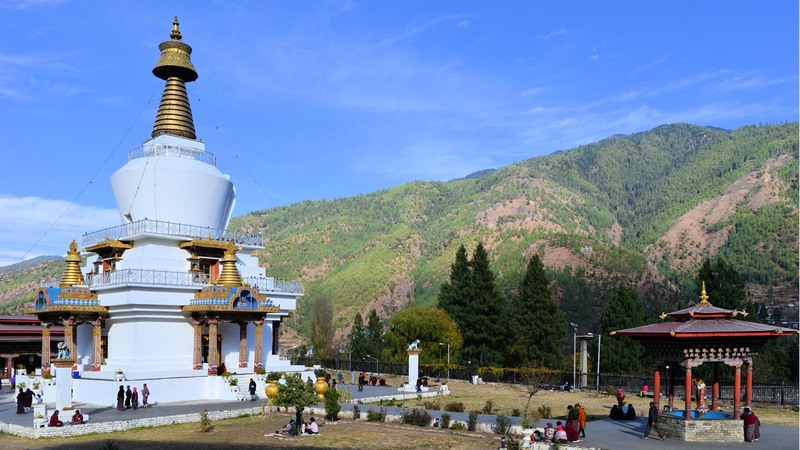 The drive from Phuntsoling to Thimpu ( 176 kms/6 hours) is through breathtakingly beautiful mountain country; scenery that is only conceivable in a ‘Shangri La’. 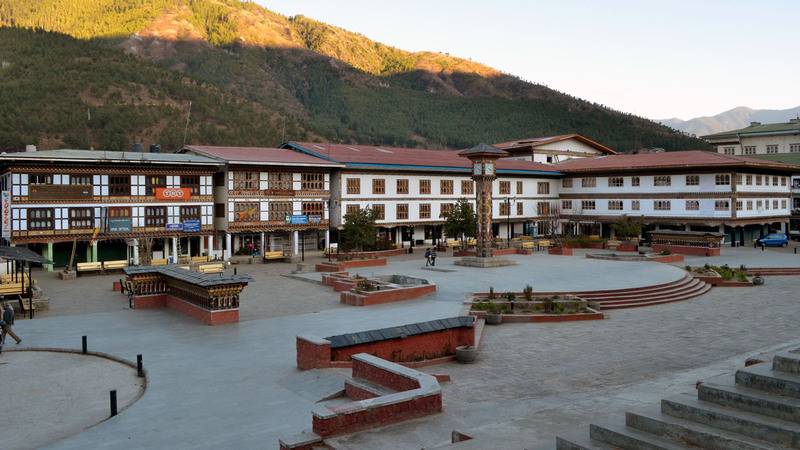 Thimpu, the capital of Bhutan since 1960, lies at an elevation of over 7600 feet in a fertile valley transversed by the Thimpu Chhu river. The shope vie with each other stocked from brick tea to horseshoes and cooling oil to cloth fabrics. And wooden houses stand side by side with concrete buildings, all painted and constructed in traditional Bhutanese architectural styles. 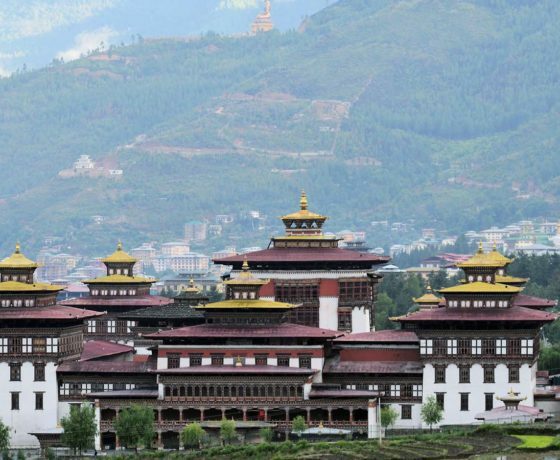 Visit the Taschichhodzong, the main secretariat building, which houses all the Ministries, the National Assembly Hall, the office of the King and the Throne room. It is also the summer residence of the monk body and the religious chief, the Je Khempo. 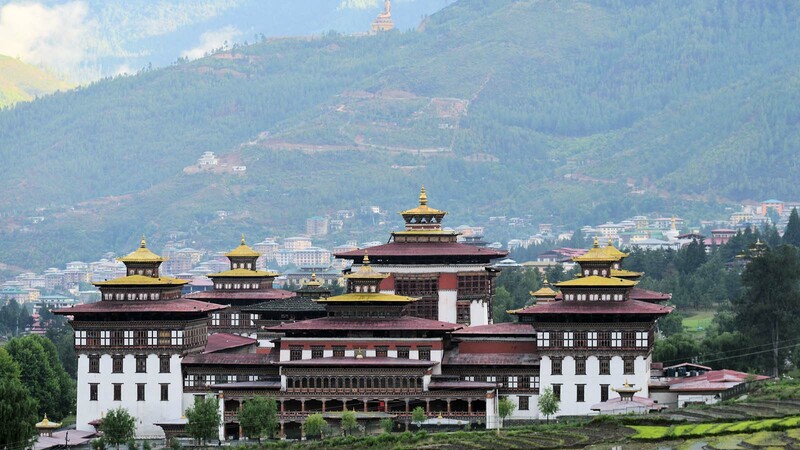 See the Simtokha Dzong, which stands on a lofty ridge is the first fortress built by Shabdrung Ngawang Namgyal in the year 1627. This old Dzong now houses the Dzongkha language and Religious university. Visit the Handicrafts Emporium which displays a wide assortment of beautifully hand-woven and crafted. Morning drive to Paro (65 kms / 2 hours), enroute visiting the Simtokha Dzong which stands on a lofty ridge and is the first fortress built by Shabdrung Ngawang Namgyal in the year 1627. This old Dzong now houses the Dzongkha language and Religious university. 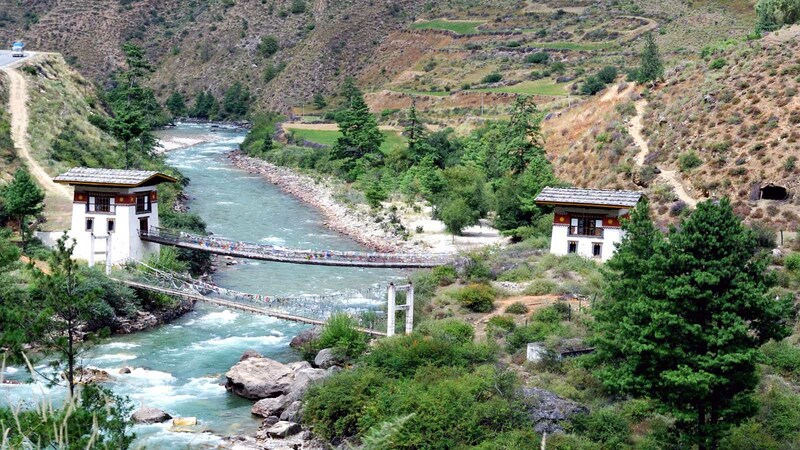 Paro, “the beautiful valley”, lies in the Kingdom of Bhutan. To the north, Mount Chomolhari (Mountain of the Goddess), reigns in the white glory. The glacier waters from its “five sisters” peaks, plunge torrentially through deep gores, finally converging to form the Paro Chu river that nourishes lush rice fields and apple and peach orchards of the Paro Valley. Afternoon visit the Rimpug Dzong, literally meaning ‘Heap of jewels’, is situated across the river on the knoll that rises from the river, commanding a view of the Paro valley. Today it houses the Paro monastic body. Behind Rimpung Dzong, high on the hillside, is the majestic castle-shaped Ta-Dzong. This one-time lookout stronghold also played an active part in the defence of Rimpug Dzong during invasions. It has been the National Museum since 1967. The Drukgyel Dzong – the burned out shell of the fortress of victorious Bhutan is 18 kms away from Paro. 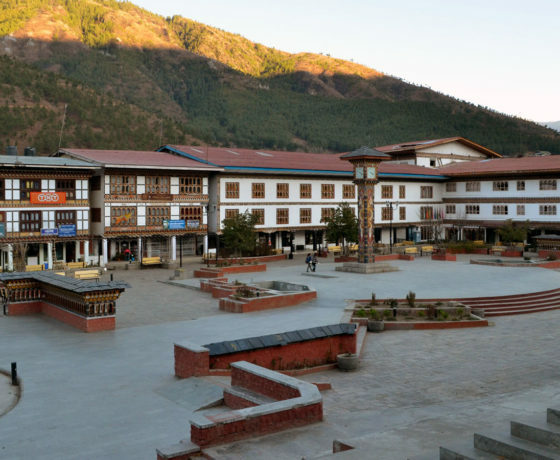 Kyichu Lhakhang, one of the kingdom’s oldest and most sacred temple and Dungtse Lhakhang are also centres of attraction. Morning proceed on an excursion to the Taktsang monastery, literally meaning “Tiger’s Nest”, built around the cave in which Guru Rimpoche – and later his follower Dubthok Singye – meditated; clings seemingly impossible to a cliff of rock, all of 3,000 ft above the valley floor. A visit to this monastery is a challenge and a pilgrimage; exhausting, thrilling and profoundly mystical. (The recent fire at the Taktsang Monastry has destroyed the interiors, which is now under re-construction. From the Takatsang Cafetaria, atop the mountain, one can see the Monastry). Meeting on arrival at Delhi International airport and transfer to the hotel where rooms will be provided for DAY USE. Rest of the day at leisure for shopping, packing and independent activities. Evening Farewell Dinner will be provided at a nice restaurant in the town. Later, transfer to the airport to board the International flight.